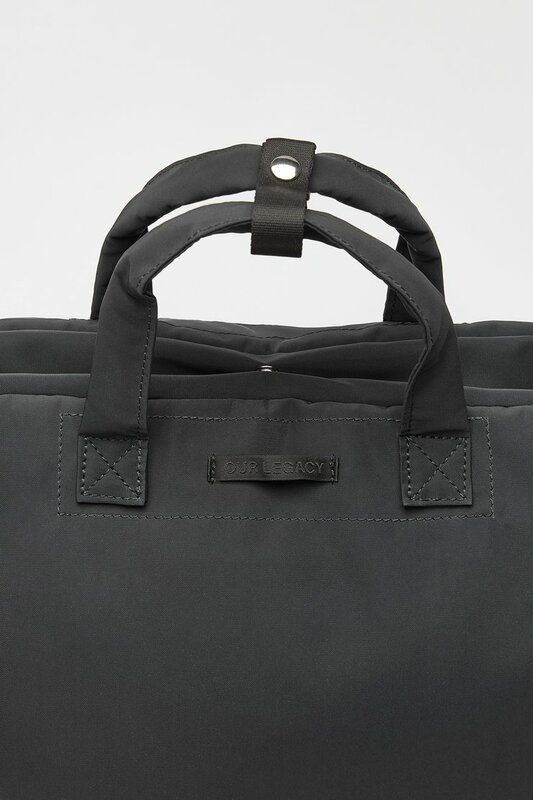 Our Comeback Bag in Black. 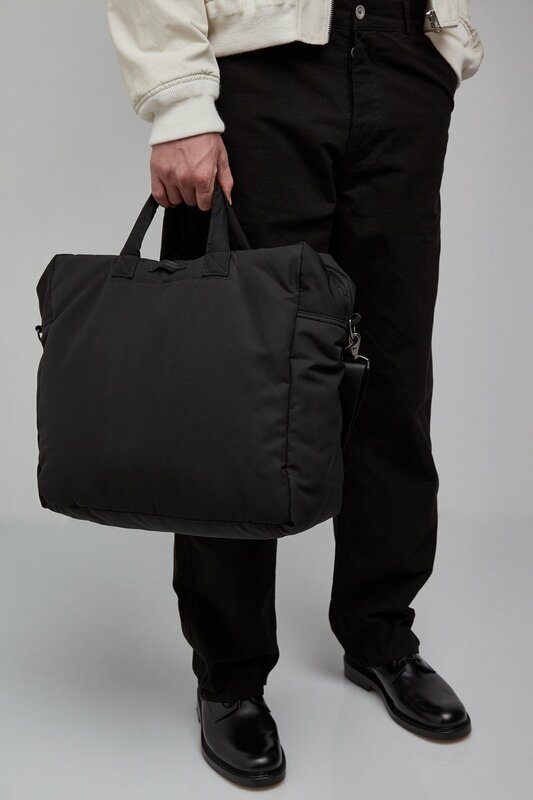 Produced in an Italian nylon fabric, this rectangular weekend bag features a large central pocket with two way RiRi zip closure, a snap closing inner pocket and internal OBJECTS label. 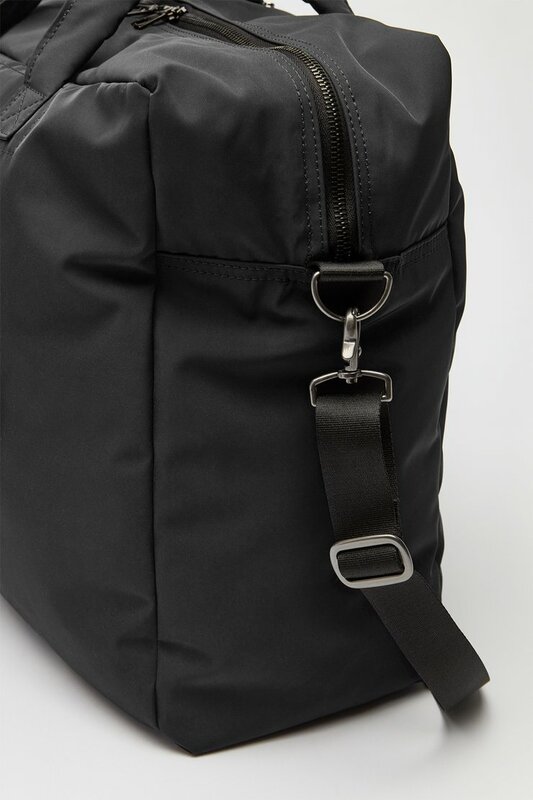 The adjustable shoulder strap is 3cm wide, produced in a seat belt nylon, and secured with Japanese nickel coated, barrel finished metal hardware. 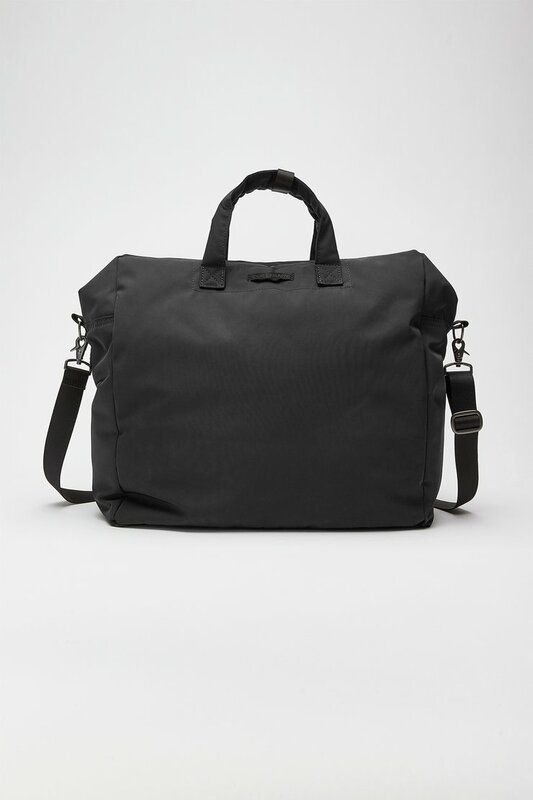 The shoulder strap can be removed and the bag carried using the padded top handles. 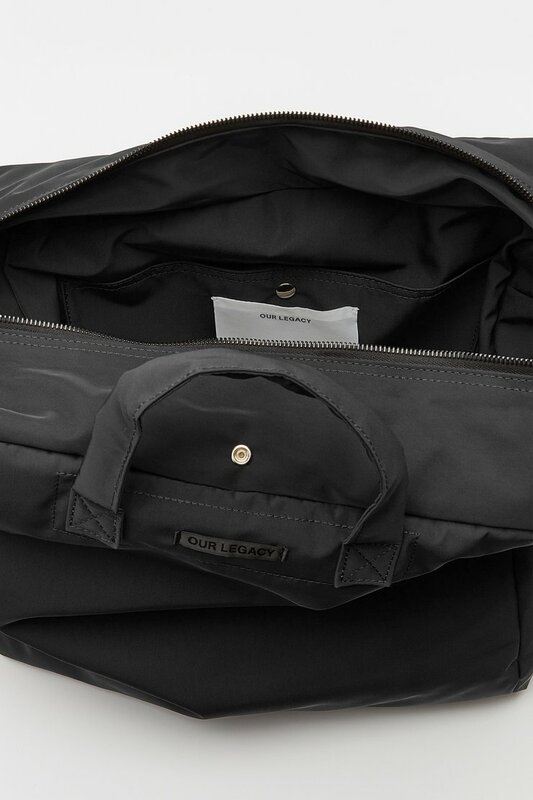 The Comeback Bag is padded to protect its contents.